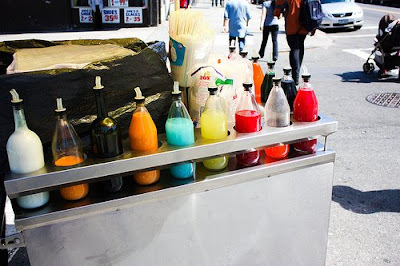 I've always been a fan of purchasing from the piraguas or ice cream vendors with the carts on 5th and in the park. The idling and rude behavior of our local ice cream truck gentlemen irks me enough to refuse to get a soft-serve (which isn't very good for you anyway). If you don't want something from a cart, get over to Fabio's on 4th Avenue.